Police unions, objective observers and whatever they call white people (I’m using “‘MAGA’ Yeezys” this week) often accuse the media of casting law enforcement officers in a negative light simply because some news outlets believe the public should know about police brutality and the disproportionate killing of black people. But The Root would like to dispel the myth that police officers have no choice when faced with the split-second decision to kill or be killed. In a miracle as rare as Donald Trump actually making sense, or your favorite Jamaican restaurant not running out of oxtails before 9 a.m., a black teenager who was carrying a toy gun escaped police custody, stole a city bus and led police on a high-speed chase, but he still did not die in a hail of police bullets. Early Sunday morning, Birmingham, Ala., police received a call about two men carrying guns in the city’s Lakeview district (your city probably calls it “Five Points” or “the River Walk,” but it’s basically that little area of town where white folks get wasted at bars until the wee hours of the morning). When law enforcement officers arrived, they found two black juveniles carrying a BB gun and a paintball gun, according to WBRC-TV. I’m sure you’ve never heard of it, but trust me, it exists. When the mother of one of the kids refused to come pick up her son, the Birmingham Police Department decided to place the 15-year-old in protective custody. 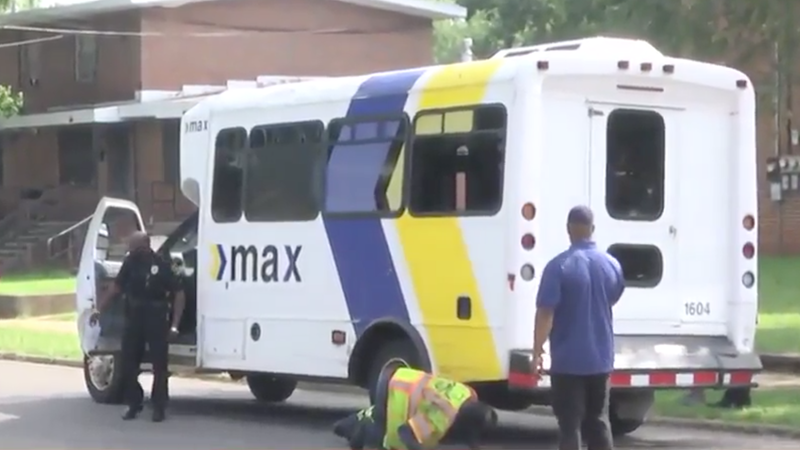 But the child somehow escaped from the juvenile facility, stole a city transit bus from the bus depot and led police on a high-speed chase through the city. During the chase, the juvenile intentionally rammed two police cars, an incident that was caught on camera as they sped through one of the city’s housing projects. Many police departments would have used this opportunity to fire into the bus and kill the suspect, as Cleveland cops did when they shot into Timothy Russell and Malissa Williams’ vehicle 137 times. Another option would have been for police to continue the chase and endanger the lives of innocent citizens. But Birmingham police decided to call off the chase before someone got hurt. The officers used all available resources to safely end this incident. The juvenile suspect took a minor situation to a level that put many lives in danger; to include his own. The Birmingham Police Officers involved in this incident showed great restraint and fell back on the training they received during their careers to ensure everyone, including the juvenile suspect, remained unharmed. It is hoped, through cooperation, that the juvenile will turn himself [in]. It is unknown at this time what charges the juvenile suspect will be facing. I know this sounds irresponsible. Why would the police allow an obviously dangerous criminal armed with a play-play weapon to get away? Of course, there is the notion that maybe Birmingham’s public safety officers were actually concerned about the safety of the public, especially considering the lives taken by teens like Michael Brown, Trayvon Martin and Tamir Rice, who went on dangerous, nonshooting sprees. How would Birmingham police justify it if this teen continued his rampage of not killing anyone at all? Did they expect him to just turn himself in? This never happens. After a long, tense period of terror that lasted a few hours, police apprehended the suspect by using a rare technique called “waiting.” The Birmingham Police Department apprehended the suspect Sunday afternoon when he turned himself in. With the juvenile now in custody, the Police Department decided to throw the book at the teenager by sending him to a facility where he will attend school, participate in programs and have the opportunity to attend religious services, according to a news release by the Jefferson County Youth Detention Center. While this is a different outcome from what many expected, Jefferson County Youth Detention Director Monica Grier explained the logic behind not murdering a teenager in cold blood. Let us be clear: The Birmingham Police Department does not deserve a round of applause for actually doing its job. But when faced with the choice of shooting another black teen in the face or trying to make the city they serve as safe as possible, Birmingham police seem to be outliers. Zero people were hurt or injured during this incident.